Two prime plots are located in Thiruvalla Town, Pathanamthitta District and surrounded by many Govt institutions, courts, banks, shopping centers, restaurants, public stadium, medical college, and private bus station. Public transport links are close and an easy access to all parts of the town. The cancellation of the Aramula International Airport, coupled in the downswing of the Real Estate Market, has led to drop in land prices, so make hay while the sun shines, as marketing specialists recommend. Kumbanad is a mini Gulf, with only Banks and no Reputed builders, with almost every household having a member in the UAE as per the details procured from the Internet, and people wanting to settle here, but with not sufficient villas/flats, and is the Right Marketing Nitche. People here are willing to buy Luxury Villas and Flats at Prices ranging from 2-4 Crore but there are no reputed builders. The only available builders are Maymana builders and Modi Builders, just nominal builders. Moreover getting 2.50 acres together is not easy,so just buy it and leave it, Land in Kumbanad is going to be the best bargain, and the Best Investment ever. Getting a 2.5 Acre Plot ideal for Projects is difficult but smaller plots are available in this region. A gated property in Kadapra. 2.45 Acres for immediate sale. Only interested persons may contact 00971508259567. 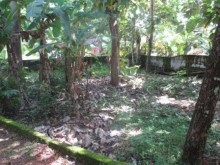 60 cent land in in Kumbazha(mallaserry junction) in Punaloor – Muvattupuzha Highway. Land is 50m away from main road. Land is suitable for Commercial and Agricultural uses. 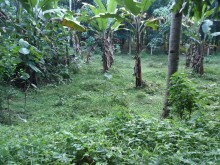 35 cent land with rubber plantation, with road frontage. Hello, Myself Wilson Thomas, planning to sell our property 15 cent including a Single storied house located at Poonkave. Near Muthoot Hospital, Stadium road, Pathanamthitta dist, Kerala at the cheapest price. Suitable for residential contact@ 07738346362 / 07710032254. 3 floor latest model villa/house near Ranny, Mannamaruthy, 3200 sq.ft,near MLA road side , all facilities available. Walkable distance to the main junction Kodumon. 5 kms to Adoor town from the land. Calm and quiet area with plenty and pure water availability. Temple, church are near to the area. Just 2.5 kms away from the heart of Pathanamthitta city. The land has a tarred PWD road running in front of it. Number of private and transport buses running on this road. The land is in an upper class residential area close to Pathanamthitta city. Calm and quite area. Public water connection going through this road and electrical post too available in front of the land. Located in Thiruvalla Municipal area. Railway station, Medical colleges and Thiruvalla main town all in 2.5 to 3 Km distance. 5 cents plot with Old fashioned house, 3 BHK, fully tiling, Aluminium Ceiling inside, water, electricity. Asking price Rs. 37 lakhs. 33 cents of rectangular plot in Omalloor, Pathnamthitta Town ( to be exact 2 km from Pathnamthitta town). Road frontage of about 180 feet on the Pathnamthitta – Omalloor highway. Ideal for showrooms/house construction/shops/auditorium. Electricity and water already installed.